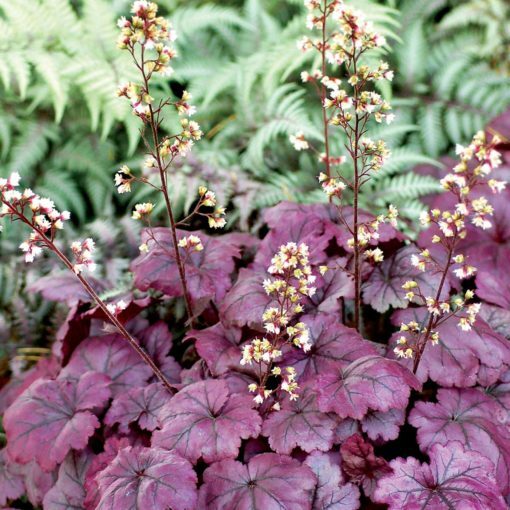 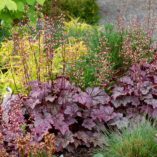 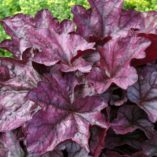 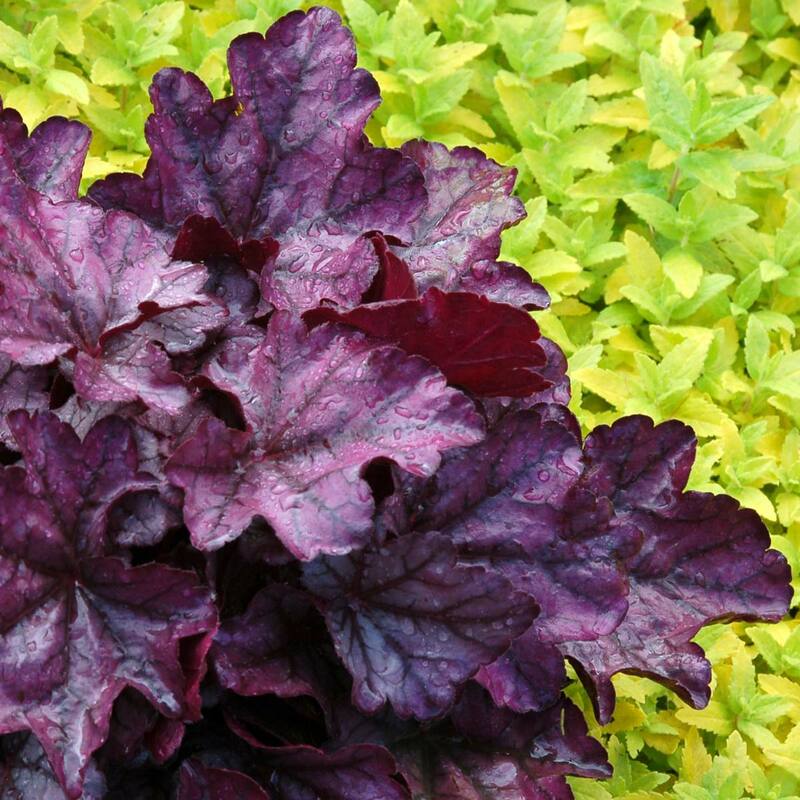 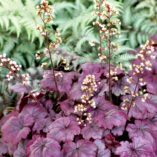 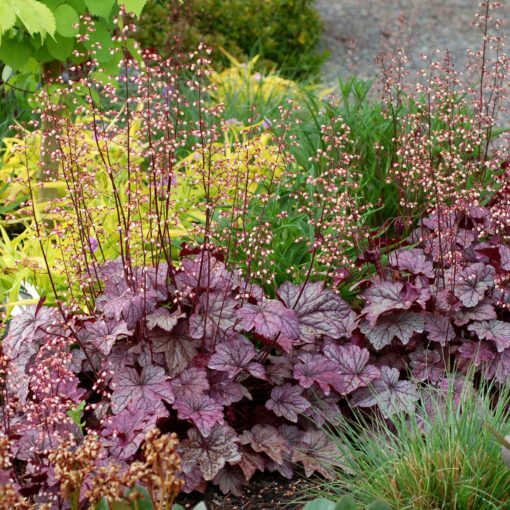 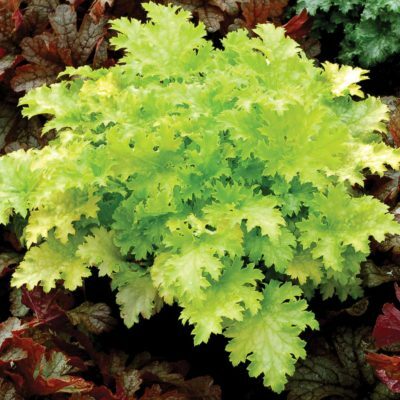 Heuchera ‘Plum Royale’ | TERRA NOVA® Nurseries, Inc.
'Plum Royale' is the first Heuchera to have amazing, shiny purple leaves all summer. 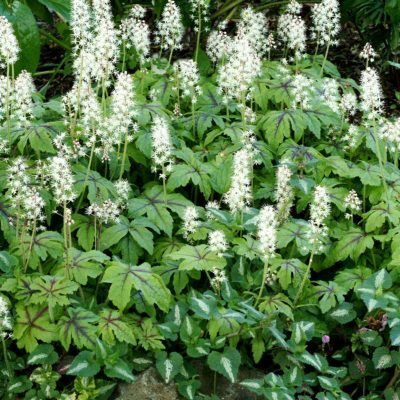 The white flowers contrast beautifully with the dark stems. 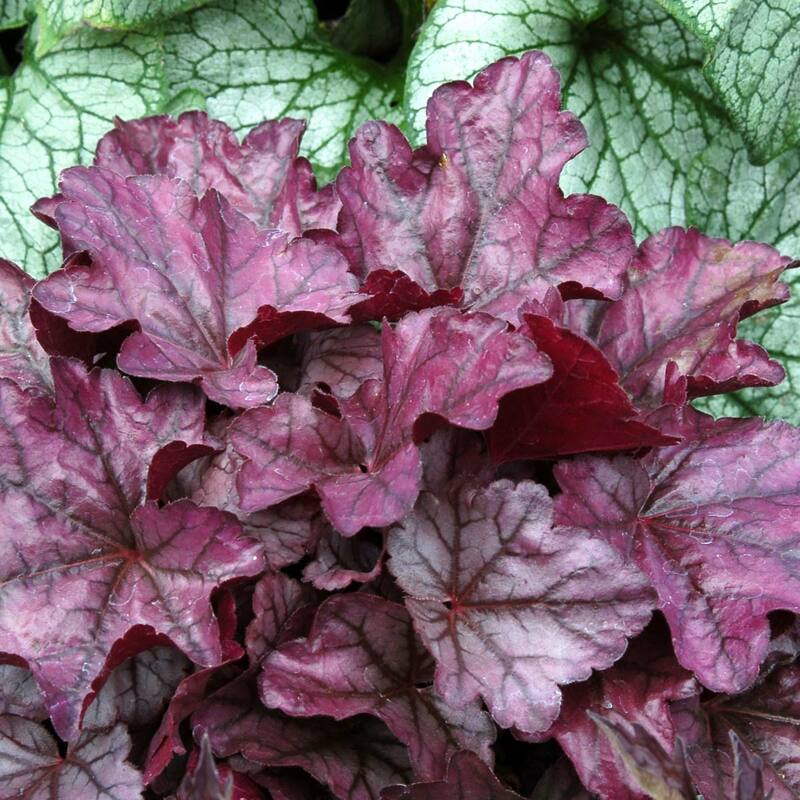 Winter color is a glossy silver purple. Wonderful as an accent or en masse. 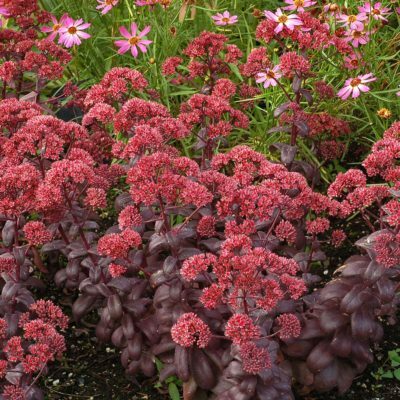 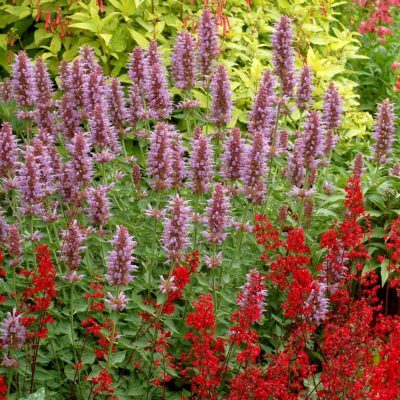 It has shiny plum purple leaves all year round with silver tones in summer and winter. 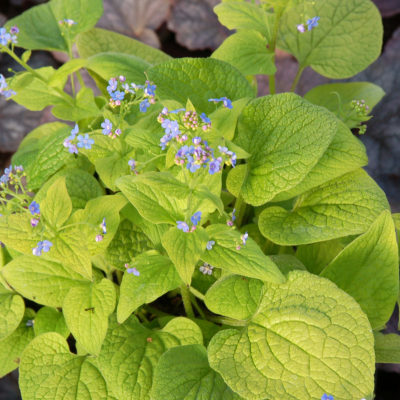 It has nice white flowers. Needs some sun for best purple summer color.